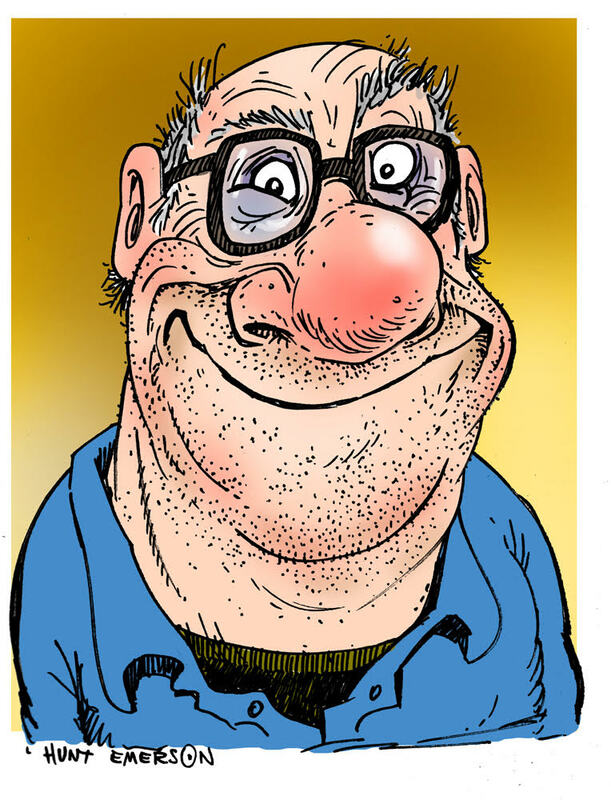 Hunt Emerson has drawn cartoons and comic strips since the early 1970s. He has published around 30 comic books and albums, mainly with Knockabout Comics (London), including Lady Chatterley's Lover, The Rime of the Ancient Mariner, Casanova's Last Stand, and Dante’s Inferno. His latest books are Calculus Cat, a hilarious collection of stories about The Cat That Hates Television, Hot Jazz, a collection of jazz-flavoured comics featuring Max Zillion and his saxophone Alto Ego, and Bloke’s Progress, a graphic novel based on the unlikely subject of Victorian art critic and philosopher John Ruskin. In 2000 Hunt was chosen for inclusion in the exhibition The 75 Grand Masters of European Comic Art by the Bibliotheque Nationale de France and the CNBDI, Angouleme.